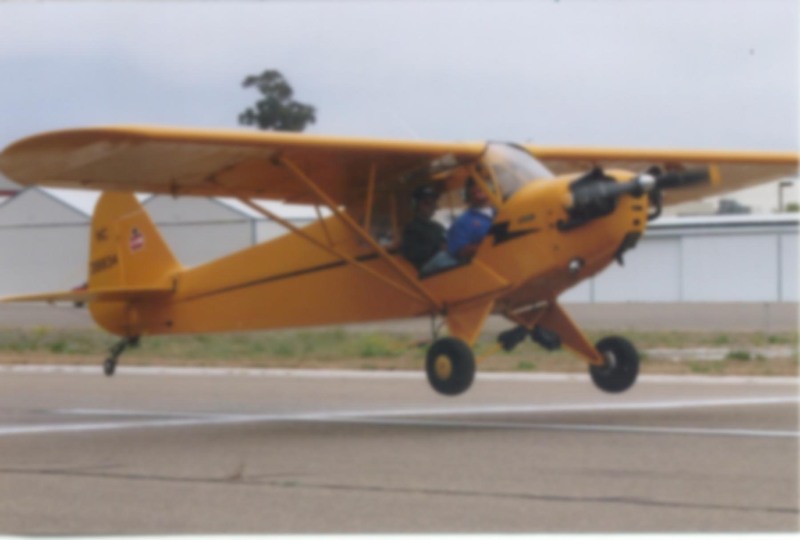 I flew into Montgomery Field in San Diego yesterday with a student pilot who’s preparing for his checkride. We shutdown the SR22 and decided to debrief the flight over lunch at Casa Machado. On our way out, I was perusing the wall-to-wall photos in the lobby and noticed a black and white picture of two guys sitting in an F-4 Phantom. The photo was signed, “America’s first ace in Vietnam – Randy ‘Duke’ Cunningham”. The photo wasn’t a surprise. Montgomery Field is in his district, after all. But the image of Cunningham smiling from the front seat of that Phantom was quite a contrast from the sniffling, self-admitted felon who’s on his way to jail for accepting millions of dollars in bribes. Very sad. Cunningham had a fine career in the military. A successful fighter pilot, Top Gun instructor, and member of Congress, he had been granted some of the highest privileges our country can offer a person. And he threw it all away. For what? Weren’t the six figure congressional salary and attendent benefits enough? Countless Americans struggle for years to overcome adverse circumstances and build themselves up from nothing. Duke Cunningham was handed the world on a silver platter and chose to flush it down the toilet. He could have been a strong advocate for our aviation infrastructure, a much needed ally in the war against user fees, TFRs, and more. Instead, he’ll rot away in prison. Much like a Richard Nixon, any good he’s done will be overshadowed by the spectacular way in which he’s fallen short of even the most modest expectations Americans still have for our elected officials. Part of me wanted to take his photo off the wall and tear it in half. Instead, I turned my back on it and walked out to the SR22 and mid-day sun. Should’ve torn it up. What a buffoon… oh… and today’s his birthday! Accepting bribes was only one facet of his many misgivings. Unfortunately for him, it’s the one that’s going to force him to celebrate his future birthdays behind bars. I guess he’s the bad guy because he’s the one who got caught! Does that make undiscovered criminals “good guys?” No. Breaking the law is what made him the bad guy. Getting caught was the result of his volitional, illegal act(s)… his responsibility. I have know Randy since he was about 13 years of age. His has always been the sad case of a person of many talents, yet with a compulsive need to enlarge or fabricate his accomplishments. Indeed, sad, because those of us who went to school with him,never knew when his achievements were real or made up, as his claims of war ace. Have to strongly disagree with the insinuation that bribery is a common place in politics where most do not get caught. While I will agree that inside the beltway compromises are made all the time, I don’t believe that kickbacks and being bought and paid for are status quo. Call me naive, but I think its pretty cynical to assume without evidence our elected leaders are dishonest. Normally, it’s nearly impossible to say just how much illegal activity is taking place in the halls of Congress. But since Jack Abramoff cut a deal and started naming names, we may soon get a better idea of what goes on behind the scenes.